Glycated albumin levels reflect more immediate blood glucose status. 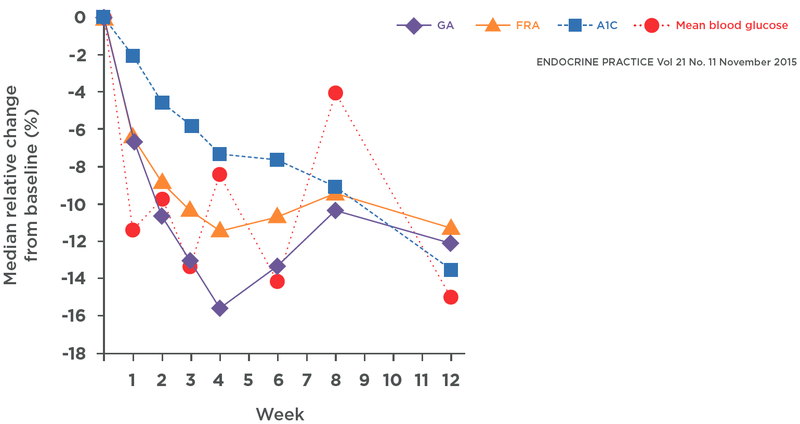 Measurement of glycated albumin can confirm changes in blood glucose status 1 to 2 weeks after the commencement of treatment. Blood glucose status can be more accurately assessed in a monthly interval with the measurement of glycated albumin than with the measurement of glycated hemoglobin. 4. Evidence for diabetes microvascular complications such as retinopathy and nephropathy. 5. Evidence for diabetes macrovascular complications such as vascular outcomes, atheroscleriosis, poor prognosis and mortality.